Wooden garden sheds have long been an integral part of British gardens and the passion for them is not waning. There are an estimated 10+ million domestic sheds out there. However they are not known for their security credentials and therefore are a favourite target for thieves. Try to keep the shed out of obvious sight, but don’t tuck it away in a secluded part of your garden. If you do then a thief could happily take their time, undisturbed. Read more about general garden security here. Most thieves are opportunists, trawling the neighbourhood for easy wins. So make sure your shed contents, including any bikes, are tucked away and are not visible. Or don’t have windows at all if they are not needed. Avoid taking photos of your bike outside your shed and posting on social media and watch out for those GPS ride tracking apps leading thieves to your home. Be aware that if you store tools and ladders in the shed, this might aid a thief progressing onto breaking into your house. Replace the lock that came with the shed with a robust lock to help secure the door. Though don’t buy the biggest shiny padlock (with bolt lock) you can find, a thief might wonder what expensive items are tucked up in the shed. The door hinges can be one of the weakest security points, consider replacing the small screws that came with the shed with longer nuts and bolts (or one way long screws, that can’t be unscrewed). These can be special security bolts or for a DIY measure you could put a bit of superglue on the nut/bolt on the inside of the shed so it can’t be easily unscrewed. Secure the roof and base of the shed. Make sure the shed has a robust roof (the quality of the wood and thickness usually goes in line with what you paid for the shed) that is not easy to jemmy off. Also make sure the base is secured and not just resting on soil or a concrete base. It’s a good idea to have security lights at set places around the property, be that covering the front driveway or a rear gate, but also a security light covering the outside of the shed. If there is no mains power at the shed, then there are solar powered units available. Do think carefully about the placement of lights, you won’t want them set off every two minutes by the local cat and the light should not shine onto your neighbour’s property. Fit an alarm, so if the door is opened or there is movement inside the shed then the alarm can be activated. There are a range of alarms on the market, covering every budget and either mains or battery powered. An extra tip would be security cameras or infrared beams. Be that a cheap dummy camera, or an actual motion activated camera with a live feed to your mobile phone if the sensor is activated. Motion detection infrared beams which are covert in nature and can be hidden well will send a text alert if the beam is broken. Consider the positioning; you don’t want the local cat setting it off. Most of these require mains power, but some are solar powered. For bikes in the shed, ideally there would a concrete base to the shed that a ground anchor can be secured to. Then the bike lock can be locked to the bike and ground anchor. If a ground anchor is not possible, there is a product called the ‘shed shackle’ that fits to the inside of the shed wall and creates a locking point. As a last resort, lock any bikes you have in the shed together, or to other items, essentially making it as hard as possible to carry the bike out of the shed without breaking the bike lock. 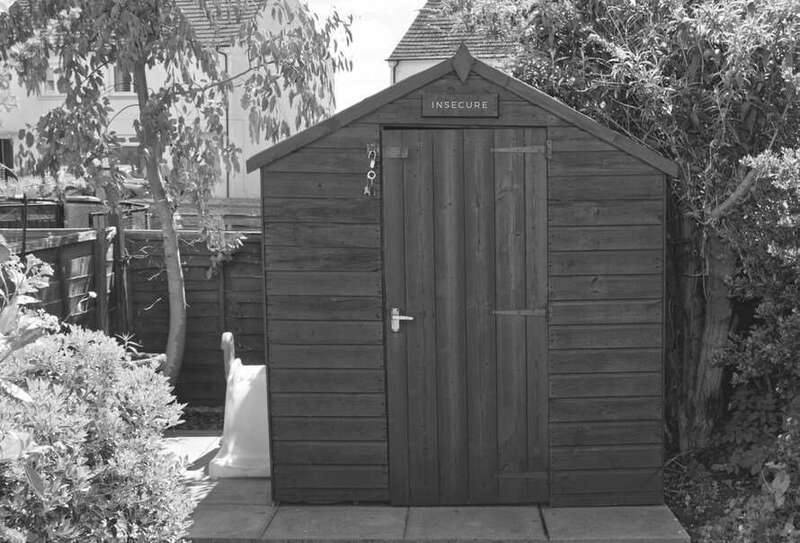 With wooden garden sheds, do check your home insurance or cycle insurance policy – what is covered and what is required to comply with the policy. It’s also worth security marking your items, with immobilise.com or another register.